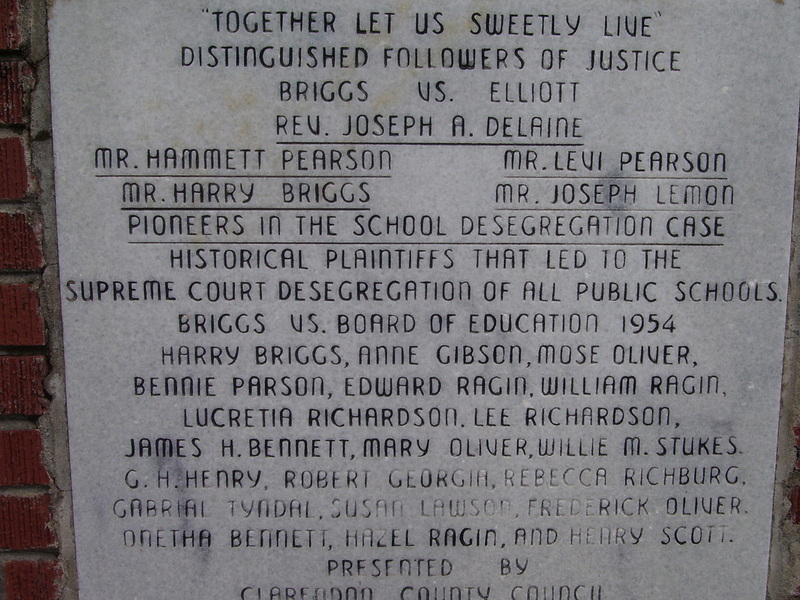 Briggs v. Elliott, a school desegregation case from Clarendon County, South Carolina, became one of five desegregation cases settled as Brown v. Board of Education in 1954 by the Supreme Court. The history of Briggs started in 1947 as an equality in transportation case. African American students in rural Clarendon County had no transportation to their schools in the area. Their parents purchased a school bus for $700 to transport their children to school. Parents approached the National Association for the Advancement of Colored People (NAACP) to sue the Clarendon County School District to provide transportation for black students. While the suit was ultimately thrown out of court on a technicality, this first suit organized parents and other black leaders in the county. Local leaders continued to meet with the NAACP, and decided to sue the school district under the "separate but equal" provision. The NAACP produced a documentary on the conditions of South Carolina's black schools in the 1920s. Not much had improved since that time. Parents pointed to the lack of classrooms, the use of outhouses, and the lack of good drinking water as some of the inequalities of the African American school in Summerton. After a conversation with District Court Judge J. Waties Waring, the Clarendon County parents and the NAACP decided to file Briggs v. Elliott not as an equalization suit, but as a desegregation case, arguing that schools separated by race could never be equal. Briggs v. Elliott was filed in the U.S. District Court in 1951 and served as the catalyst for the State of South Carolina to fund black school construction for the first time in its history.